What do millennials and their baby boomer parents have in common? The inability to retire comfortably due to a lack of adequate savings. Following in the not so ideal footsteps of their baby boomer parents, millennials, according to research by UBS Investor Watch, are heading towards the same pitfall more than half of their parents find themselves in: the danger of not having enough of a nest egg to afford a comfortable retirement. Research does, however, take a holistic approach and acknowledges the unique circumstances millennials face – those who entered young adulthood in 2000 so are now in their early 30s – when compared with their predecessors. More than any other previous generation, millennials are faced with the challenge of already being in debt by the time they receive their first salary, with study loans making up a relatively huge portion of this debt. While student loans are justifiable, they’re not the only challenge millennials are confronted with: easily available credit from financial and retail institutions add to their debt pressures. Debt is not the only challenge millennials are confronted with, however. When considering that only 6% of South Africans are able to retire comfortably, the majority of millennials face the added burden of falling into what has been termed the sandwich generation. A generation of young professionals who face the dual task of taking financial responsibility for more than one household, usually their own and those of their extended families. These are just a few of the unique dynamics that leave millennials in a position where they often feel they are simply not in a position to invest for retirement. Given all of these factors, how then does the average millennial overcome it all and alter the course of his/her future prospects to a more favourable one? What should they be prioritising, servicing the debt or saving towards retirement? Magwegwe says it shouldn’t be viewed as a case of debt vs retirement, but a case of debt and retirement. He believes millennials should make use of the maximum allowable contributions to employer retirement funds. They should then structure payment of debt, and supporting others on net pay after these pre-tax contributions, to ensure they benefit from time in the market and the power of compound interest. In addition to financial constraints this group has proven to be quite averse to investing on the stock market, preferring to hold cash. This, to some extent, stems from the 2008 financial crisis and the adverse effects it may have had on their parents, including their ability to retire comfortably. This then begs the question of how to best address this fear of volatility while ensuring their investments can withstand inflation? Tyson feels most investors are caught between the need to ensure their investments can beat inflation while minimising the impact of volatility and the risk of capital loss – which are factors to consider when investing in growth assets such as equities. “For millennials, investing for retirement is a long-term goal and they still have time on their side. Looking at the South African equity market over the past 30 years, your real returns (after taking out the effects of inflation) could have been anything between -40% and 68% over any one-year period – a highly dispersed outcome. 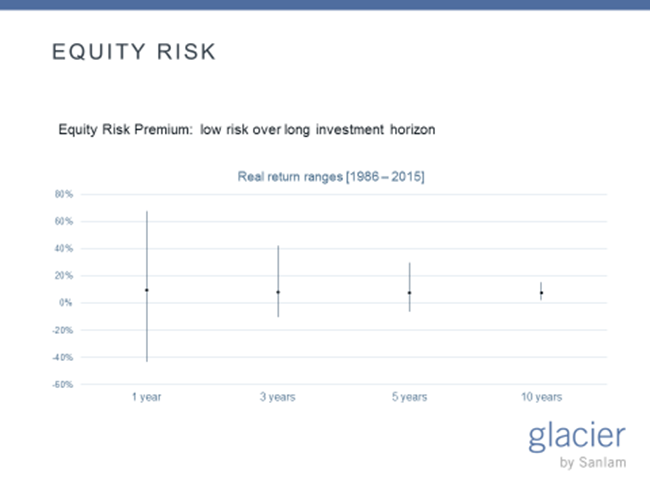 But as you invest for longer periods these ranges become narrower and the risk of loss that comes with equity investing decreases. To tackle these, Magwegwe suggests the language used to socialise investment in stocks should move away from the usual, ‘If you invest in stocks you will reach you retirement goals’ advice, and start emphasising loss by stressing how people may not reach their future goals if they fail to invest. He says research suggesting humans feel more “pain” when faced with stock market losses shows that the emphasis on loss is a better catalyst for behavioural change than an emphasis on gain. Stating that language should also be about the inability to meet life goals if not enough risk is taken by investing in stocks. A separate study by Deloitte on millennials spanning seven key markets, including China, the UK and US, suggests this crop of young adults would be more receptive to the idea of saving for retirement if there was greater flexibility in terms of access to the funds before retirement. The investment industry is also seeing a gradual shift from the baby boomers’ firm belief in the use of financial intermediaries to the DIY approach, which most millennials seem to favour. Could this imply that traditional investment methods and retirement products may become obsolete? How are financial institutions adapting in order to meet these new demands and trends? Davel feels it is difficult for financial institutions to adapt to this DIY trend because their businesses are built on the professional adviser approach. He believes real innovation is likely to come from the tech industry, in the same way that technology has disrupted other traditional industries such as taxis, entertainment and travel. 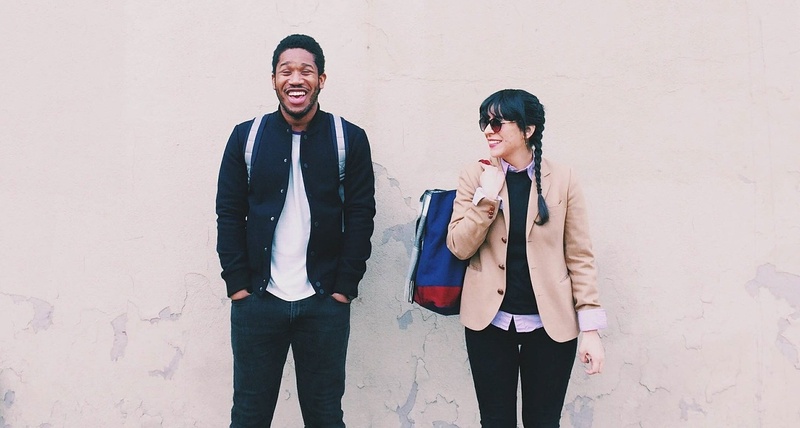 “Our own studies suggest that millennials are keener to manage their money themselves. They’re more likely to do their own research and reading; they’re likely to listen to their peers. And the stuff they’re likely to respond to is objective, neutral, honest information,” Davel suggested. “They don’t want to be sold to or talked down to. They want to be informed, but not necessarily ‘advised’,” he said. 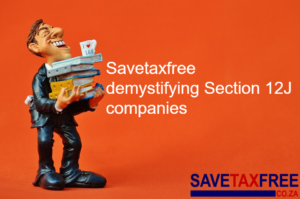 What about the debate of retirement annuities (RAs) versus tax-free savings accounts (TFSAs)? Given the millennials’ need for greater flexibility in in their investments, are pension funds and RAs still really the only plausible means to a healthy retirement? With employer pension funds, Tyson believes millennials are often tempted to take the cash when changing jobs – which results in paying a lot of tax and making it more difficult to attain retirement goals. She does stress, however, that when opting for an RA over a pension fund, investors should ensure they have adequate life cover, as this is not included. Magwegwe maintains that the best vehicle for the formally employed is through their companys’ retirement funds as the contributions are pre-tax and costs are low. For those not in formal employment, he feels the RA is best as savings in can only be accessed from age 55 and are unavailable for emergencies, unlike those in a TFSA. In his view, TFSAs are not ideal retirement savings vehicles because of the R30,000 annual limit to contribution and the R500,000 lifetime limit. He feels they’re more suitable as additional retirement savings, or other long-term goals such as saving for education. So is it all doom and gloom for the millennial who hasn’t started saving for the future? Should they be starting to panic if they haven’t already started? There is definitely time to catch up if it is not left too late, Magwegwe concurs. Although it would mean making maximum contributions towards retirement funding, and also having discretionary retirement savings.